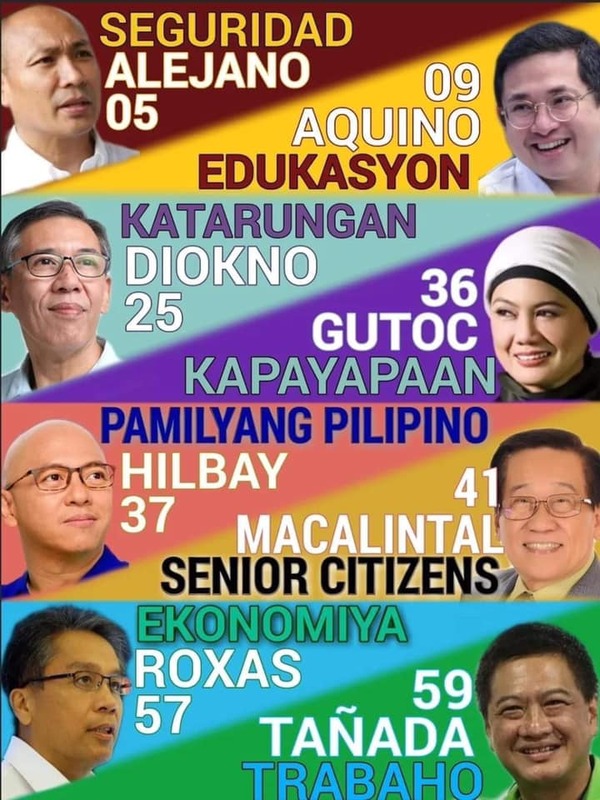 Mabuhay Pilipinas! Let's celebrate our Independence Day with good food! 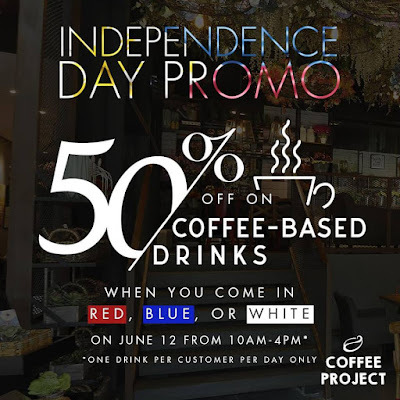 Here are some Independence Day Food Promos which you may want to check out! 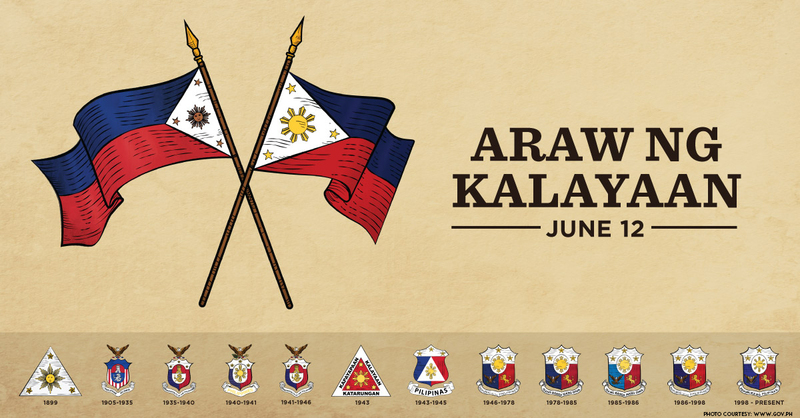 Feel the pride of being a Filipino as we celebrate the Philippine Independence. 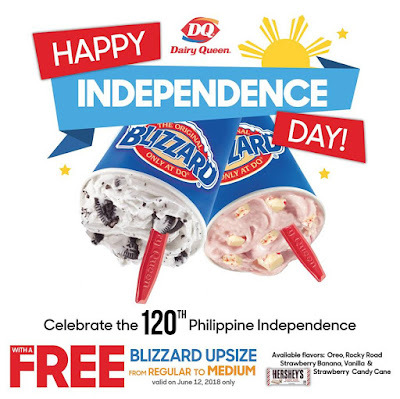 As a treat, Dairy Queen offers a Free Blizzard Upsize from Regular to Medium when you purchase any of the ff. flavors: Oreo, Vanilla, Rocky Road, Strawberry Banana and Hershey's Candy Cane Strawberry. Available in all Dairy Queen outlets except DQ Red & Green Gate, DQ Gateway Cinema & DQ Enchanted Kingdom. This promo is available on June 12, 2018. 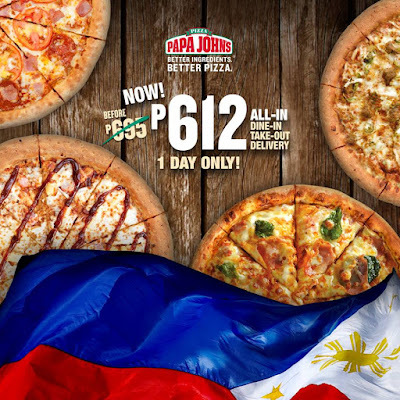 In commemoration of our 120th Philippine Independence Day Celebration, Papa John's is giving us DOUBLE DISCOUNT on SUPER DUO on June 12!! 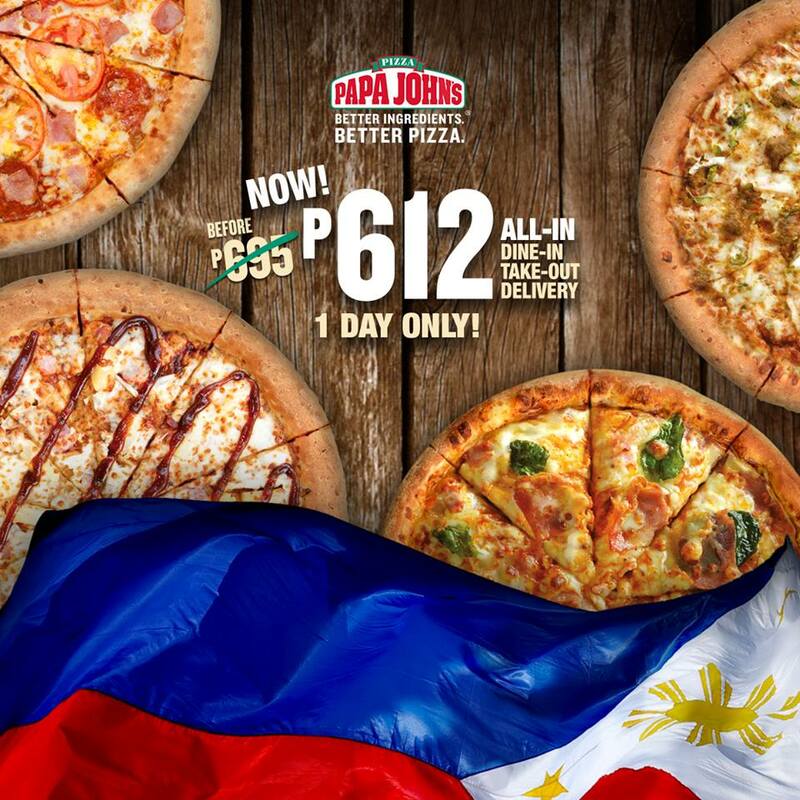 TWO 14 inch pizzas from P695 NOW at P612! ALL IN!! Available flavors are: Papa’s Deluxe, Mexican Ole, Papa Favorite, Bbq Bacon Lovers, and Honey Bae. Lunch just got so much better at TGI Fridays! 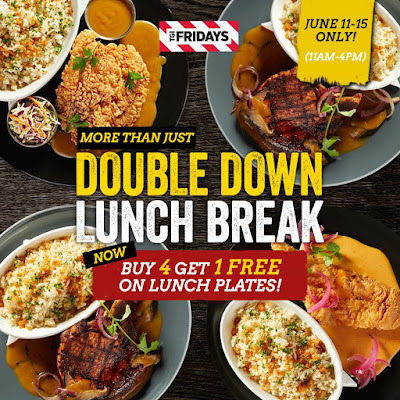 Bring the whole team on June 11-15, 2018, from 11am-4pm for TGI Friday's 4+1 Promo. FREE item should be equal or lesser value of the purchased items. Valid for dine-in only at TGIF Evia, TGIF Alabang Town Center, TGIF Southwoods and TGIF Solenad only. Celebrate the 120th Philippine Independence Day this 12th of June 2018 at Botejyu branch in SM Mall of Asia. 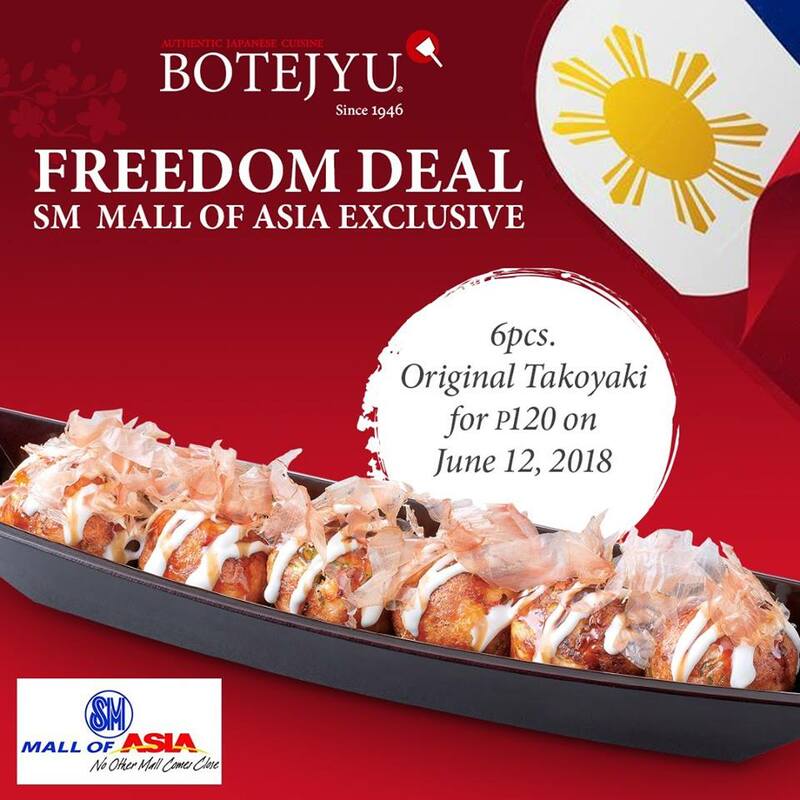 As part of the celebration, you can avail our Original Takoyaki (6 pieces) for only P120! *Promo is available this June 12, 2018. 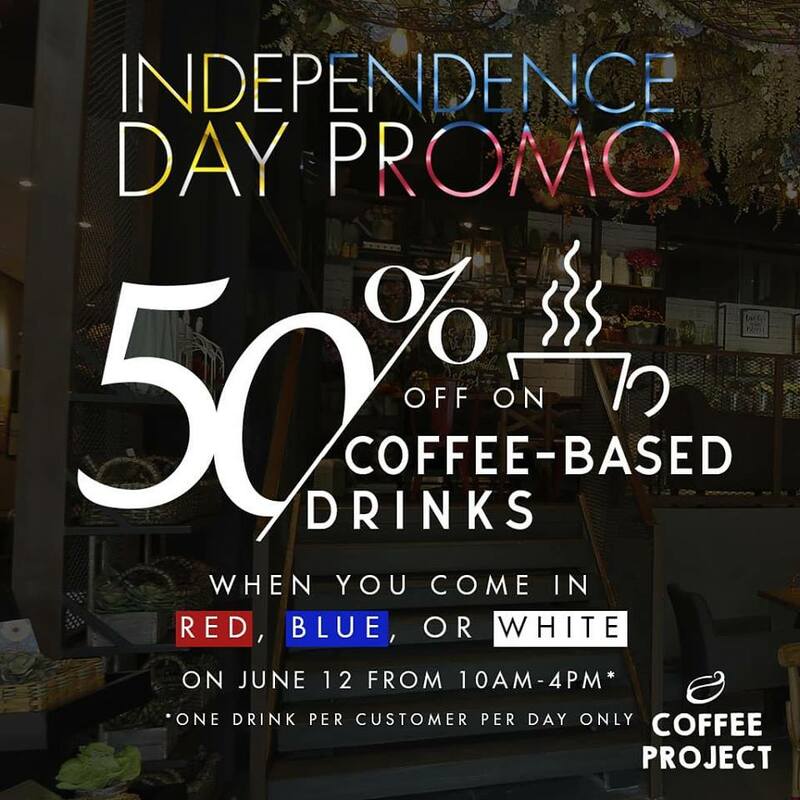 In celebration of the Philippine Independence, Coffee Project offers a 50% discount on ALL their coffee-based drinks tomorrow, June 12 from 10AM- 4PM. Simply come in RED, BLUE or WHITE to avail of this promo. Enjoy a Small Plain Iced Capp and 6 Birthday Cake Tidbits for only P120 in ALL Tim Hortons branches. This promo is available from June 12-13, 2018. 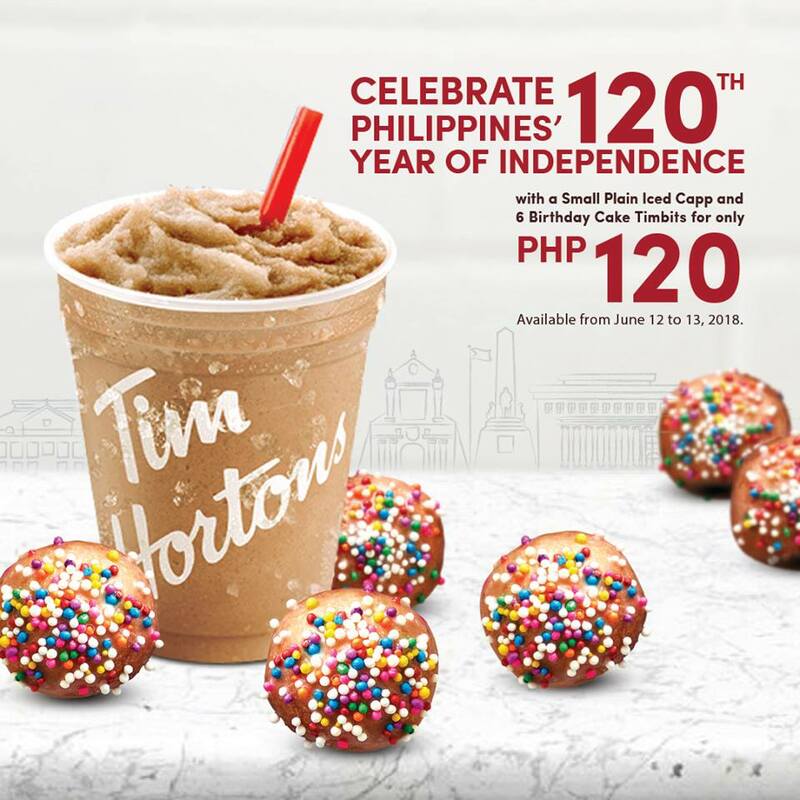 Celebrate 120 years of Philippine Independence with Saint Marc Cafe! With seven (7) flavors to choose from, you can enjoy their cone dessert for only P120.00. 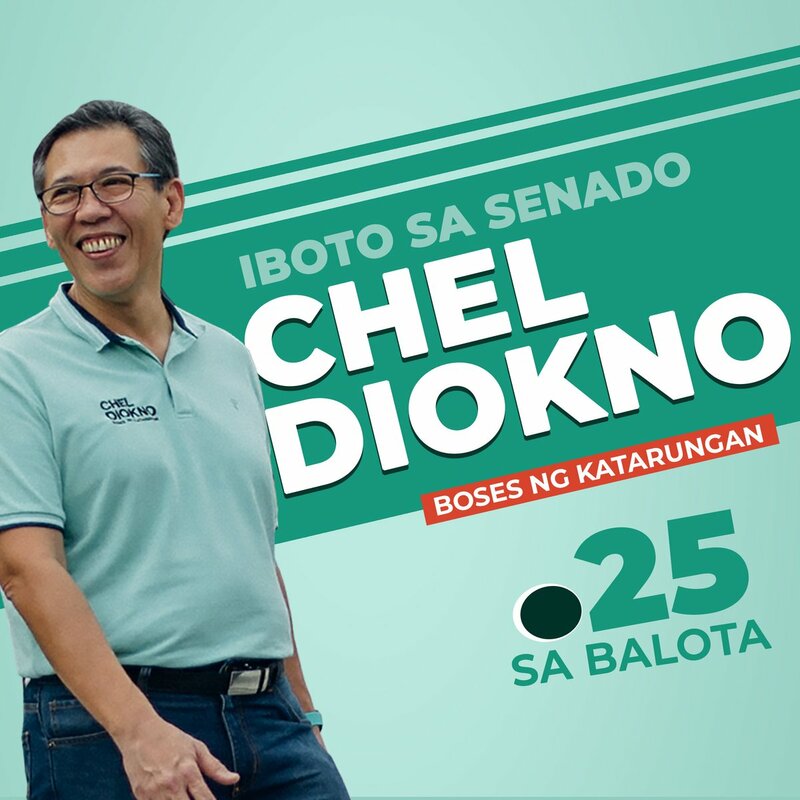 (Save as much as P30.00!) 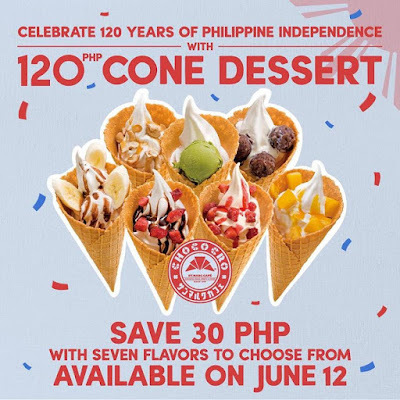 Available in all Saint Marc Cafe branches on June 12, 2018 only! J.CO has a BIG 612 Treat! Raise a mug and munch a treat this #IndependenceDay and celebrate with smiles and with pride! 2. 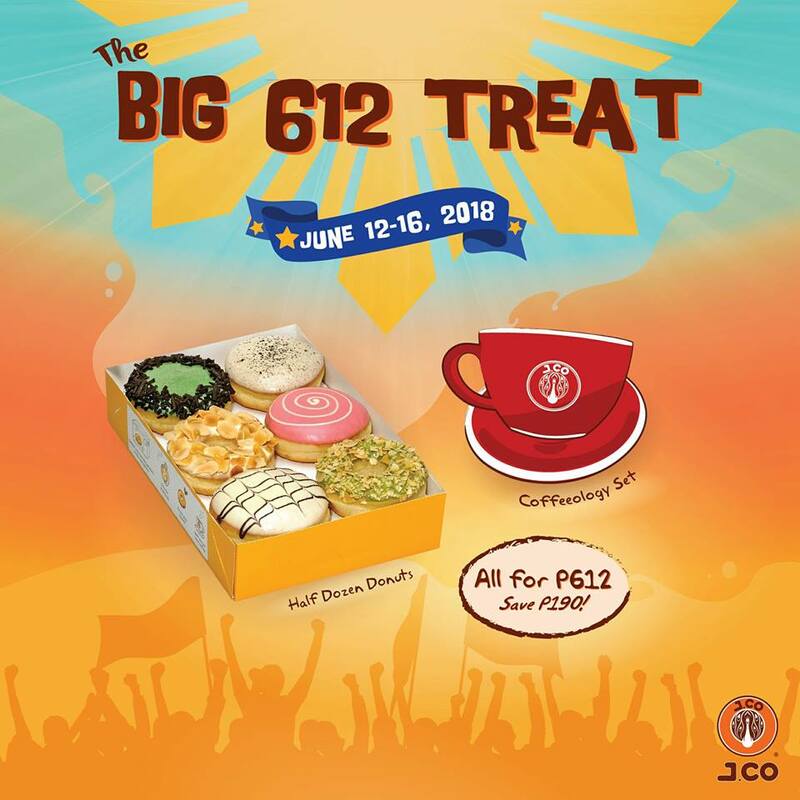 Promo is valid from June 12 to June 16, 2018 in all J.CO stores nationwide except for booths and kiosks. 2. Maximum of 2 sets per transaction.